In this series of 30 daily articles celebrating the upcoming 30th Anniversary of Super Mario, various members of the Nintendo Life extended family will share their memories and thoughts on the iconic franchise. Next up is Nintendo Life veteran and Noiseless Chatter master Philip J Reed. One of the things I remember best about playing Super Mario Bros. as a child was how the game continued long after we turned the NES off. There were obvious tie-ins (cartoons and cereal and bedspreads and dolls) to keep the game in the forefront of our minds, but the real fun came from a roll of paper and a few pencils. I don't know where my mother got that roll of paper. It was decent quality; maybe she knew somebody who worked for a printer. But we had a massive roll of continuous white paper that was perfect - absolutely perfect - for creating Super Mario Bros. levels. When Super Mario Maker was announced, I reacted to it on some primal plane that hasn't been touched in decades. Nowadays level creation and modding is just about commonplace. I buy games with the functionality, toy around with it a little, and lose interest before I really even begin. (Hello, Mega Man Powered Up!) It's a nice idea, and I'm sure that user-created levels are just ducky, but I've shrugged off so many similar features by this point that they no longer register. Mario Maker is different, if only because it reminds of of those hundreds of hours I spent with friends, all sprawled out on the living room floor, bringing imaginary Mario levels to life with that roll of paper and limited artistic skill. I have no idea why we were so excited by it. We weren't even drawing Mario, Luigi, Princess Toadstool and the rest of the crew. That might have been exciting. No, we were drawing platforms. Waterfalls. Pulley systems. We weren't level designers; we were landscape architects. But we loved it. There was something about our (unquestionably) terrible drawings of background assets that kept us engrossed, and kept our imaginations engaged. It was impossible, I guess, to look at those levels, however poorly-designed, and not see the invisible Mario skipping and bounding along. We could never play these levels, but we could imagine how wonderful they would be. The impossible leaps somehow being made. The hordes of enemies being effortlessly trounced. The tricky ascent to the top of the flagpole being handled effortlessly. At one point I visited my uncle, who also owned Super Mario Bros. He showed me levels I had never reached myself. Did you know, for instance, that there are castle stages after 1-4? And they're even HARDER? It's true! I knew my friends wouldn't believe me, either, so I went home and did the only thing I could do before youtube: I drew what I remembered by hand. I had a record of what I had only seen. I had evidence of worlds I might one day get a chance to explore myself. I remember we even spent time inventing enemies. One of mine was a Trouter crossed with a Pokey. Can you imagine that?! What wonderful games I was creating on my own, with that stubby little pencil of mine. Nintendo sure screwed up by not hiring me right out of third grade. The rest of the enemies were even less creative. The thing is, I'll buy Mario Maker. And I'm not sure if any of the levels I slap together will be superior (in any way other than artistically) to what I was drawing by hand so many years ago. But it's giving kids today their own rolls of paper. Their own tool sets. Their own passive understanding of why the myriad components of Super Mario games work the way that they do. Mario Maker isn't for me. It's a curio and a collectable that I'll have fun with, for a time, and eventually stick on a shelf. No, Mario Maker is for all the kids who will look back 20 years from now and share their own memories. And I'm glad that they'll be encouraged to do exactly what my friends and I used to do. Because it's still some of the most fun we had together. Whether or not I play any user-created levels this time around, the important thing is that they're being created. There's love and affection behind the exercise. And that's what matters the most. Interesting read. I'm going to start playing Mario Maker from the exact opposite perspective. I barely ever do any drawings, and I'm very uncreative. However, since all the tools are provided, it'll be an easy way to try out new things and I'm looking forward to try to create some fun levels. Me and my son have drawn out a level together that we plan on making as soon as we get hold of it. I can't wait! Tried at ManchesterUK Tour yesterday along with Ultra Smash (also got myself a few pin badges! ), very excited for both... Ultra smash was a great laugh with 3 other friends, isn't going to reinvent anything but is solid fun. Mario Maker feels like there's nothing to say, it's gonna be what you make of it, but I can certainly see the appeal of challenging friend to complete levels you make and passing the controller. While I'm not creative I'll love failing horribly at the ones all you pros make! Also, the Amiibo for this is huge! Like it could be used as a weapon. @BrizzoUK ah we went to that on Friday. Surprisingly good! Most people just try to make impossible levels with insane difficulty, or gimmick levels that are nothing more than proof of concept. I'm more interested in the real talent that creates real levels with balanced difficulty. The ones that you could actually envision in a real game. Of course, that doesn't mean they can't be off the walls crazy. Just so long as they're well designed and not Lost Levels difficulty. You have to complete the level yourself before you are able to upload it online. Thats the best feature they've included here. @Bass_X0 really? That is excellent news. A bit of quality control. The fact that Nintendo releases this software meant that they are probably never going to make another 2d Mario platfomer again. They had given all they could in the last 30 years, it's time to move on. They released this software as a toolset for everyone to create their own Mario, it's a swan song. @Bass_X0 It's just like Pullblox/Pushmo's level creation tools, you need to solve it first. This is probably my most anticipated game of the year to be honest. Also, as an aside; I just spent about an hour or more drawing an image on Art Academy: Atelier the other day too, and it was great fun. I just wish the people at Nintendo had the foresight to understand that titles like Super Mario Maker and Art Academy: Atelier should REALLY have been launch titles for Wii U, as well as a few more games like this that just really show off the GamePad in all its glory, and not only that but maybe even a couple of titles like this should have been built into firmware and available to all Wii U owners for free out the box. Sadly, and for reasons that I probably will never fully understand, they didn't have really any games that actually truly showed off the unique strengths and features of the Wii U GamePad and that gave people any real reason to buy the Wii U at launch; like Wii Sports absolutely did for Wii, on both accounts, and that the likes of Super Mario Maker and Art Academy: Atelier clearly could have, imo. Nintendo Land just didn't even come close to doing what it needed to do to show off the real potential and appeal of the Wii U, and sell systems out the gate. I just know, that if I had been sitting in that office at Nintendo when they were discussing the plans for Wii U, I would have had told them to have a whole bunch of titles like this available day one, and indeed installed directly into the firmware for free out the box—as well as bringing up a couple of other points—and I genuinely think the Wii U would probably be sitting at the top of the console sales right now as a result. Still, I'm going to have a lot of fun playing Super Mario Maker on my bros Wii U when the game finally comes out—and I'll be creating another "artistic masterpiece" in Art Academy: Atelier too, the next time I'm up his way for a wee visit. But, just know that the Wii U could have been so much more than a system I only play once in a blue moon when I visit my bros, Nintendo. @JaxonH I'm right there with you. It was fun to see people playing those levels full of enemies and ridiculously hard, but its already getting to be a bit much to watch. I really look forward to finding talented level designers who make solid balanced levels of a quality seen in normal Mario games. Which makes me ask, is it possible to follow a certain designer and see when they release a new level? I never made imaginary Mario levels specifically, but I made TONS of imaginary platforming levels for games my brother, my cousin and I would dream up back in the day. 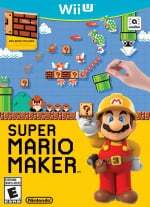 That boy would be incredibly excited for Mario Maker, as is the adult he became. @MaximusMansteel You can follow designers, it was confirmed in the most recent trailer. Thanks Mr Reed, childhood memories are the best! @Captain_Gonru Yeah, we have subs over here. We also have a fast food take-away shop called Subway - do you have that over there? 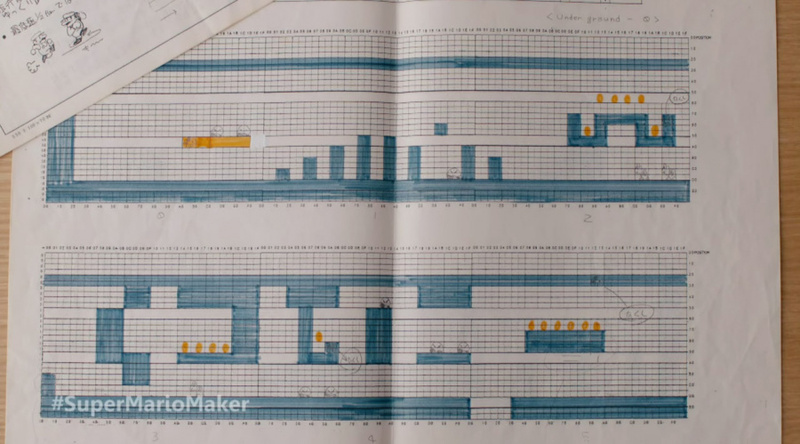 I remember designing my own mario levels in non-lined notebooks. The problem is, the one with the most levels in, I threw out! Oh dear. Whilst I still have one or two, most of my inspiration for mario maker is in a Word document, with titles and brief descriptions of levels I want to make. Look out for the level "Rogue Plumbing" in your course worlds! I find that with most ingame creation tools, I get discouraged pretty quickly because it can often be a bit complex or unwieldy. Although I have created a map in Age of Empires 2, and I have another unfinished one that needs attention. I dont think that'll be an issue with Mario Maker. They seem to have covered all the bases, with things like the tracer images for when Mario jumps. Less menus to fiddle with, more instant function. I went out and bought some squared paper, professional pencils and thine ink pens and ruler just for this!! Not sure I will make a ton of levels and I wonder how the review system will work. There will be hundreds of levels available by year's end. When I was little, I used to draw imaginary video games in my notebook. I had a lot of fun. You would gather items and fight bosses as you make it to the end of each world - the top of the page. When I had spare time in grade school, I'd draw levels in full color. I'm going to go through my old stuff and re-create some of the levels I made a long while ago. Oh, I can't wait until this game releases... I'm going to enjoy this a ton. Great article. My friend and I used to sit outside and draw Mario Bros. levels from morning until night creating our own new games around them. I don't think it is possible in the new game, but we would design new enemies too. It would be cool to see that feature out of the box or as an upgrade. @Captain_Gonru Wow...you solved it. A Google image search turns up exactly what I had. The white version, not the brown. Incredible; I always just assumed it was some kind of professional banner paper. No idea how or why my mother got her hands on a roll of butcher paper, but that's one part of the mystery solved. Thanks! Not having a very good imagination when it comes to things like this, I am going to be relying on other users to provide a lot of the fun I will get out of the game. If I am able to find enough genuinely good levels, if I download around 70 of them, bang, I have a brand new Mario game. Sure, there are going to be lots of levels, where the creators are trying to make you as mad as possible trying to complete them. However, I believe there are/will be enough talent out there to create some amazing levels. I also think Miyamoto is going to be surprised when he sees some of the levels people create. I will try my hand at creating some levels, but they will never be in the top tier. They Wii mostly be played by friends, out of sympathy lol. The point is, I am going to have lots of great fun messing around, and playing some truly amazing levels. Easily my most anticipated game of the year (along with Xenoblade Chronicles X). I'm excited to make simple levels to use to train my small kids in platforming. Hmm... Come to think of it, I can remember drawing out a Mario level when I was young... 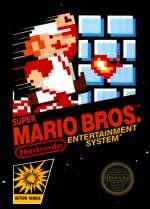 It was Mario in Space before Mario in Space was cool. I designed a lot of Donkey Kong Country levels as a kid. This is gonna be fun. Its funny to read this because I myself have made in my early childhood from toothpicks, paper (arranged like a scroll) and lego a primitive version of SMB. It was silly and naive but was organic. Something I came up from observation and reason, something kids nowadays wont have to go trough the hassle, which is what bothers me the most. Creativity is nothing once you have a prefabricated canvas to start with. Regardless I am buying SMM and hope to create some levels for my son. This article sums up my thoughts exactly. I remember my friends and I drawing Mario levels during free-time at school. One of those unlucky friends was not permitted to have video games in his house and he was one of the most passionate about our drawings......where ever he is, I hope he picks up this game when it comes out.